Professional Vision Timonium & Carney, we’ve had a lot of success in fitting multifocal contact lenses. 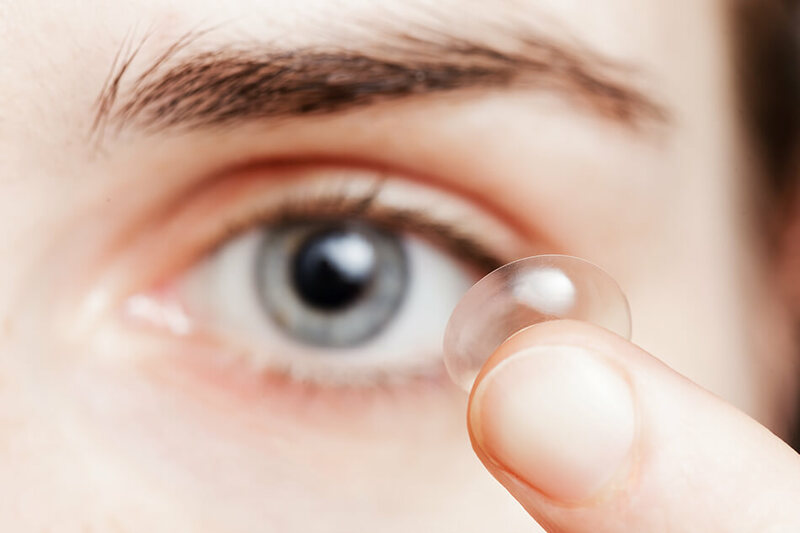 There are many reasons for this, which include improved mutifocal contact lens technology, along with much more comfortable multifocal contact lens options. At our practice, I’ll explain to patients that we can really shine & help them when they start to have challenges at near, as they get into their 40’s. Another reason for our success with multifocal contact lens patients, is that we try to “hold patients hands” through the process, while going over what to expect when being fit for multifocal contact lenses. Just about all of these patients want 2 things: 1. To be able to see at distance and near without glasses for most things. 2. Wearing contact lenses that are comfortable. Below, I’ve listed some important points that we will discuss with patients that are being evaluated for multifocal contact lenses. 1. There’s nothing perfect about multifocal contact lenses: People expecting perfection, will likely be disappointed. If someone’s desire to see at distance & near without glasses for most tasks, then multifocal contacts may be for you. 2. It tends to be a process when fitting multifocal contact lenses: We’ll explain to patients that, with mulifocal contact lenses, the fitting tends to be a process, where we have a starting point, and then try to fine tune from there. 3. When you 1st put the lenses in, try not to over-analyze the vision right away, as it takes time for the lenses to settle, and for your eyes and brain to adapt: We’ll explain, that when first trying the initial multifocal contacts, the less you think about them the better. There’s a lot more to it than what’s listed below, but I thought this would be a good glance to get an idea of what to expect. Thanks & have a great day! This entry was posted in contact lens, daily disposable contact lens, multifocal contact lens and tagged baltimore, biotrue one day for presbyopia, biotrue oneday, carney, cockeysville, contact lens, daily disposable contact lens, dr barnstein, dr. richard barnstein, dry eyes, eye, eye doctor, eyedrbarnstein, multifocal contact lens, perry hall, presbyopia, professional vision, richard barnstein, timonium, vintage eyewear, vision, white marsh. Bookmark the permalink.